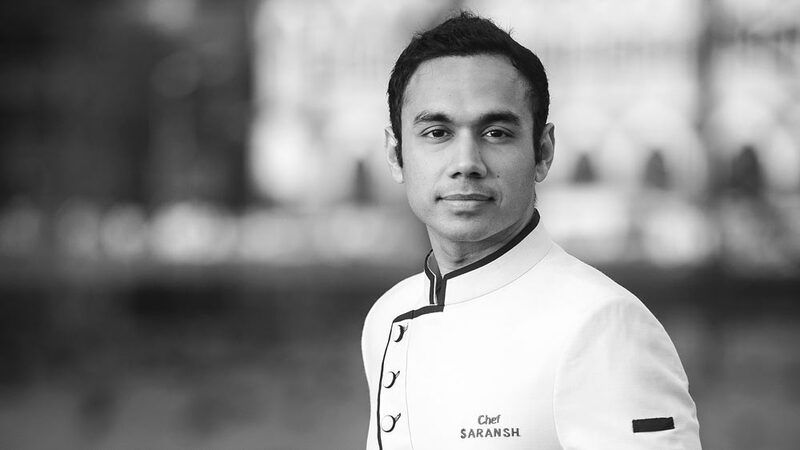 In an exclusive interview to Restaurant India, Chef Saransh Goila, Celebrity Chef, Author and Entrepreneur talks about his love for food. When did you decided to become a chef? I started cooking at a very earlier age as a hobby because my grandfather used to cook a lot in the kitchen. I used to watch cook shows especially Chef Sanjeev Kapoor’s Khana Khazana and I would watch the show, note down the recipes and used to make it. As time flies I was thinking what to do and it was my grandfather’s suggestion to be a cook. My mom wanted me to be a bio-tech engineer. And, it seems an instant career for me and that’s when I decided to be chef. What was the most exciting part of the journey? When you cook for people and you see the joy. People come to you and praise your cuisine and food. It was a wedding night and I made 20 aloo parathe for entire family and the kind of attention I got was unforgettable. It is one of the royal memories I had. It made me realise what food is and how it made people react. You have also authored ‘India on my Platter’. Tell us about your experience bringing India on single plate? I was doing a show called ‘Roti Raasta India’ on Food Food channel in 2012. The show allowed me to travel extensively to 25 states and 60 cities. We travelled around 2000 km in span of 100 days. I was shooting while I was travelling every day. It remains one of the most exciting trips in my life. And, it was the longest road journey by a chef in India. It also appeared in the Limca Book of Record. While doing the show I realised that there was so much which the show could not capture and I felt that I should document it somewhere. Firstly, I planned to write a blog on this but then I realised that it won’t be fair to put such a great content in just a blog. So, I thought of writing the book, I got in touch with the publisher, we both liked the idea and that’s how we launched the book. It’s not a normal book; it has travelogue, recipes, anecdotes and travel and food stories. You are known for your butter chicken recipes. What entices you to play with it? It was a funny story, I never thought butter chicken is going to be my popularisation. I realised that in Mumbai nobody is giving good butter chicken. There were few restaurants that are doing it but were really expensive. So, I started playing around it. Talking about trends in the industry what do you see picking up in the segment? I see regional Indian cuisines coming back. People are doing lots of fusion around it. A lot of people are doing molecular gastronomy around it. Entertainment along with food has picked up. People today like to see a lot of Tamasha happening. The gastro pub culture is also on rice. So, in short people are looking for good food, drinks with high quality. Eating out now more expensive..